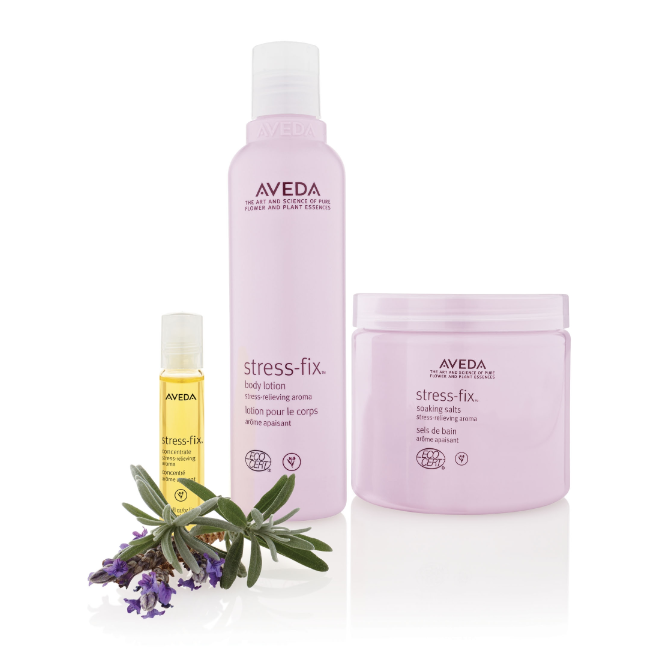 Aveda have launched a new line this month, the ‘Stress Fix’. I had the pleasure of experiencing a hand and arm massage (part of the full stress-fix massage that has been added to their treatment list) using the body lotion, and I can tell you that it’s divine. Sometimes Lavender-based products are too overpowering but Aveda seem to have got their blend just right here – the 100% organic aroma features French-sourced lavender and clary-sage. The lotion is non-greasy, but has enough slip to use during massage, so long as it’s relatively brief. Which (let’s face it) it will be unless you’re paying for it! Sigh. There’s a sugar-based bath soak in the range, too, which looks very interesting indeed, and there’s a little Pure-Fume rollerball for use on the pulse points. Have a little look next time you’re passing an Aveda – all three products really do smell amazing! They would make great gifts for new mums or stressed-out friends WITH UNIVERSITY DEADLINES TO MEET. Hint-hint. Haha. Stress-Fix Body Lotion is £27 from Aveda.co.uk and instore. Next Post Sign Up to Something Wonderful!